UU A Way Of Life: Is the UUA a Tower Of Babel? 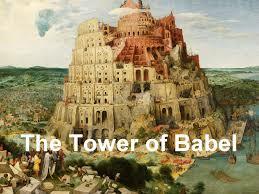 Is the UUA a Tower Of Babel? To what extent do the UU pastors consult with and support the UUA? It seems that UU pastors operate independently of the UUA and have no significant role in supporting it and governing it. What would happen if the UU Ministerial Association were to be the sole electors of the UUA president? The UUA functions as a grass roots organization. Its structure and function hampers the growth and extension of the covenant. The church has no clearly defined structure within which to promulgate its teachings, values, and practices. This function is left to the individual congregations. The UUA seems to see itself as consulting and a resource but not governing. Without an overarching structure Unitarian Univeralism is doomed to fail. Unitarian Universalism is a good example of the modern day Tower of Babel. For several years, the UU churches in our area attempted to form a "committee" which would collaborate and share resources. It never really gelled and worked? Why. The pastors of these churches rarely attended and never together. Was it jealousy? Was it rivalry? Was it seen by pastors as a waste of time and one more committee meeting? Was it seen as below them and an affront to their authority. Was it a threat to their autonomy? We will never know. It was an attempt from the bottom up that never worked because those ostensibly in charge had no incentive. What was in it for them?